Building the Church by training and equipping pastors and evangelists is high on the list of priorities for SIM Malawi. Working closely with its partners the Africa Evangelical Church (AEC) and the Evangelical Bible College of Malawi (EBCoM), SIM Malawi has a number of projects which both bolster EBCoM itself as well as preparing and equipping pastors for work in the Church in Malawi. 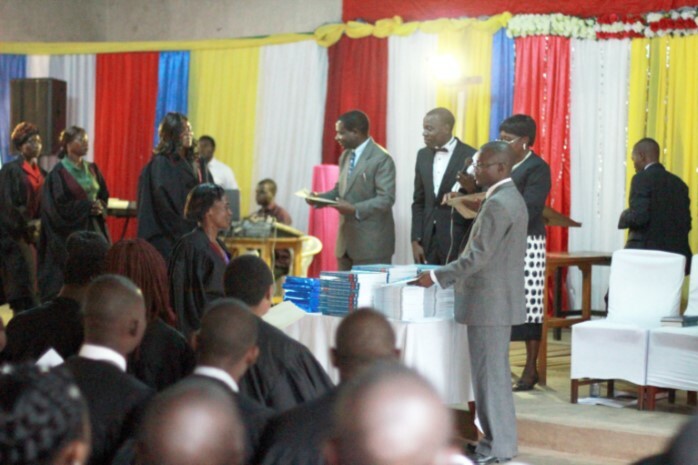 Founded in Chididi and relocating in1964 as the Likubula Bible Institute, the name it held until 2000, EBCoM is one of the foremost Bible Colleges in Malawi. SIM Malawi missionaries have been involved with the College from its very inception, and this tradition is carried on today with SIM Malawi missionaries serving as lecturers and also on the Board of the College. With more than 50 years’ experience behind it, EBCoM is looking forward to continuing in the development of Pastors and preparing them for the rigours of life in the Malawian church. But the training does not stop at graduation from the Bible College. Through the series of Pastors’ Book Set Conferences (PBS), which have been held across the country since 2008, church leaders and members have had the opportunity to hear speakers from Malawi and overseas speak on marriage enrichment, mission and engaging with youth. But it is not just the speakers which inspire, as each delegate receives a set of books (hence the name Pastors’ Book Set) which it is hoped will continue to help and inspire them as they make use of them after the conference is finished. 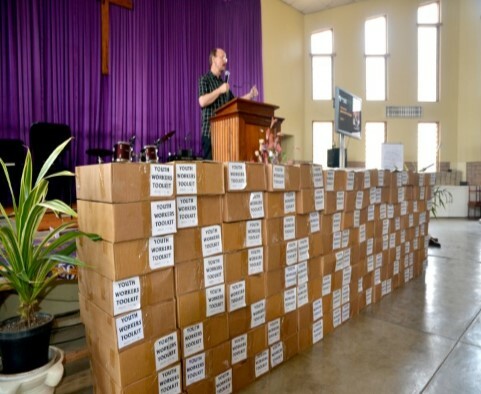 Another way in which books are helping church members is through the Chichewa Bible Study Books written by retired SIM Malawi missionary Marilyn Barr. Bible study resources in the local Chichewa language are scarce. Marilyn has produced a range of books in Chichewa which work systematically through the Bible as well as ‘one-offs’ on different subjects. Finally, there is the physical building of churches, or rather helping to Roof a Church in Malawi. New congregations are encouraged to build their own church to help the AEC grow both physically and spiritually. In order to help this process, SIM Malawi works with the local congregations to provide the iron sheets needed to complete the new building.